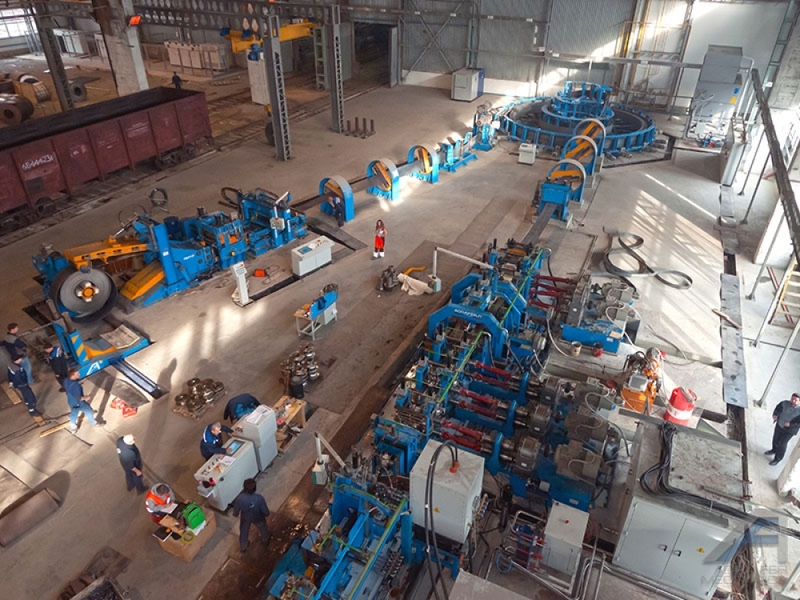 Thanks to the know-how attained over the years, Adda Fer Meccanica is able to project, build and install turnkey plants for the production of pipes in the range from 13 mm. up to 508 mm. API outside diameter, according to customer’s specifications based on production speed and wall thickness. In addition to the complete lines, Adda Fer Meccanica is able to offer individual parts for replacement or integration in existing production lines: decoilers, coil opening units, automatic strip joint benches, horizontal spiral accumulators, straightening machines. 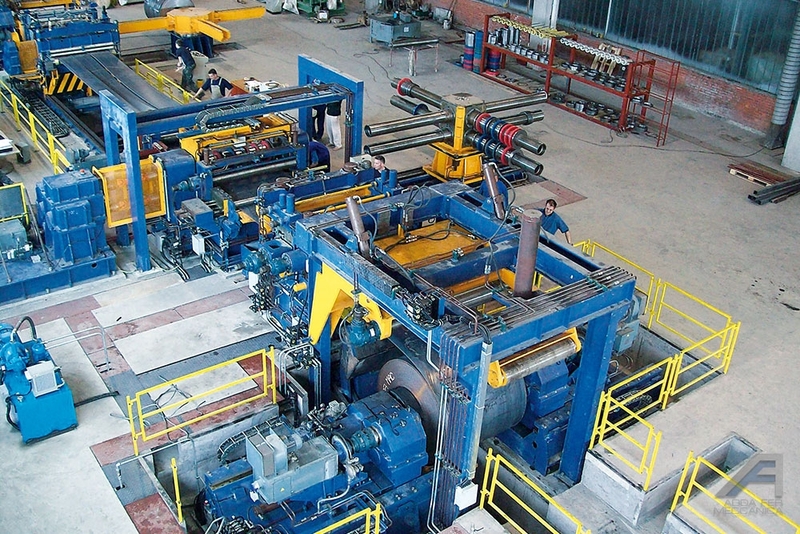 Upon completion of its tube lines or supplied individually as implementation of existing plants, Adda Fer Meccanica is able to offer end facing and chamfering machines, hydrostatic test for the pipe pressure testing (diameters from 12,7 to 406 mm. and lengths from 4 to 13 meters up to 500 MPA). The processing phases are totally automated and easily integrated with the pipe lines and the automatic packing lines produced by Adda Fer Meccanica. Our plants have a range of profiling widths up to 1.750 mm. thickness from 0,25 mm. up to 12,0 mm. They are designed for working hot, cold rolled, pickled and galvanized steel, stainless steel, high resistance and pre-painted steel, aluminum and copper. The cutting units can be both of start-stop type and in continuous flying working. 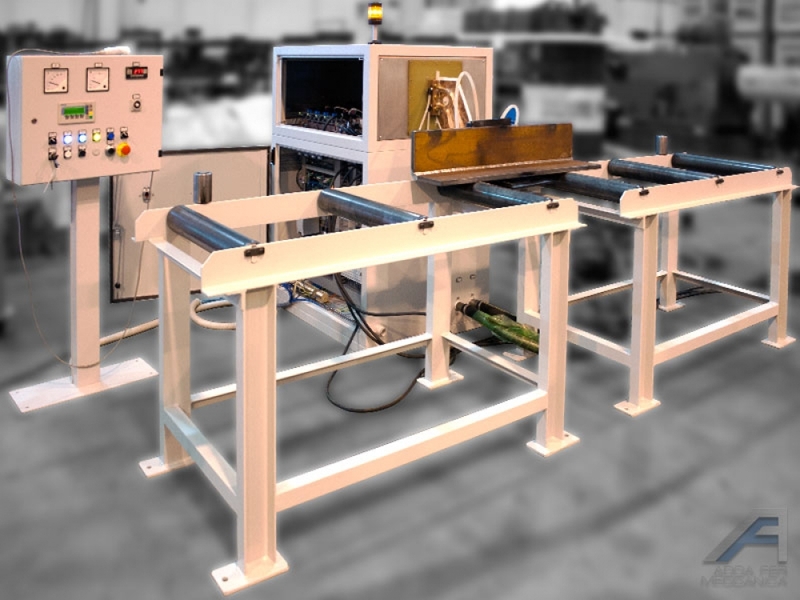 Our lines can be equipped with pre-punching and pre-slotting units both with start-stop working with flying system. Discharging and packing units can manage lengths from 500 mm. up to 15.000 mm. 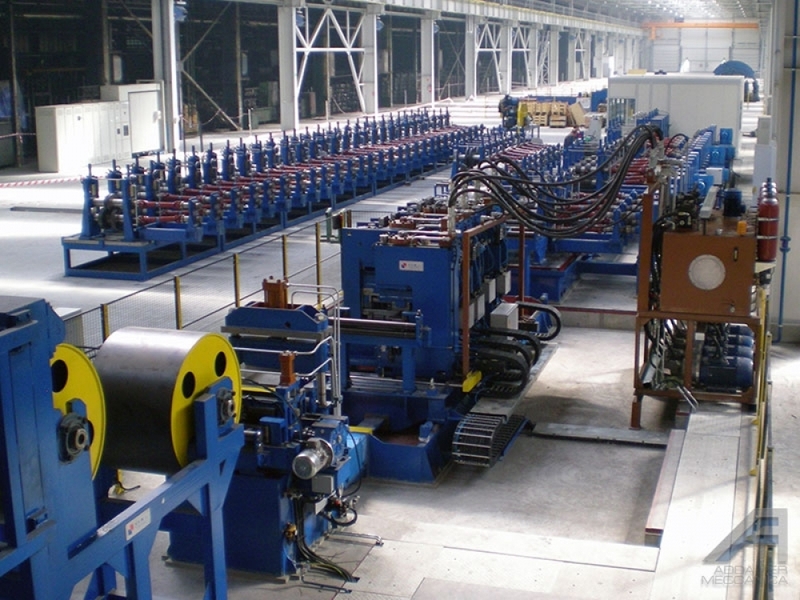 Adda Fer also offers a range of lines for the longitudinal cutting of metal sheet. 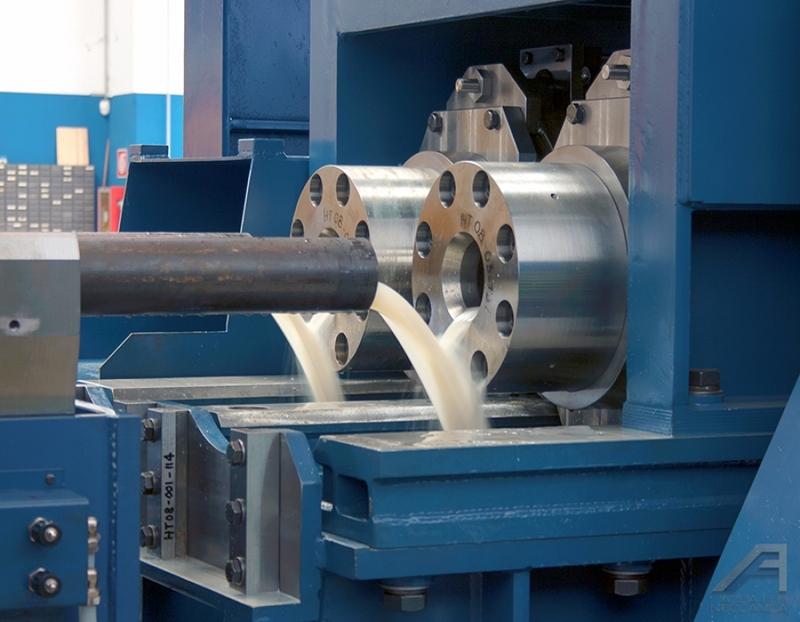 Complete systems for a range of widths and thicknesses, capable of cutting coils up to 2.000 mm. width and 14,0 mm. thickness. in a large range of thickness, from the thinnest tin plate steel (0,5 mm.) to thickest stainless and carbon steel (15,0 mm. ).